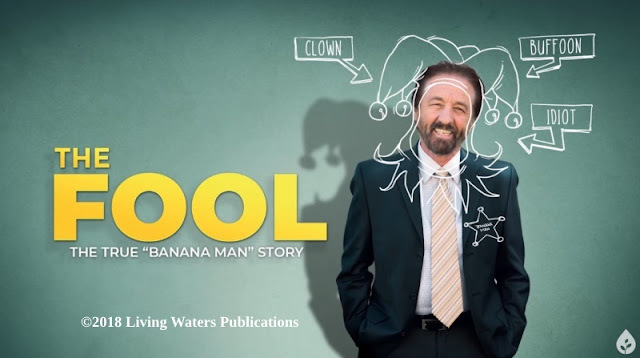 Anti-creationists have been known to use hasty and overgeneralizations (among other logical fallacies) to describe the positions held by biblical creationists. The "pterosaur carved by Native Americans at Black Canyon, Utah" is a splendid example of how some tinhorns can act. They want to prove us wrong, but use logical fallacies to do it. Oh, please. This character who strikes me as a P.Z. Myers wannabe claims that it's "actual science smacking down creationist fairy tales" (straw man, question-begging epithet), and uses a fallacy of reification in the title, "Pterodactyl Murdered by Science!" Hard to take people like this seriously. Couldn't find a picture of the image under discussion that I felt I could legally use, so I made something up. Original image from US BLM, with pterosaur clip art. The facts are that some creationists used the idea that the Native American pictograph looked like a pterosaur, but that idea was certainly not the entirety of young Earth arguments, nor did we hang our Stetsons it for all of biblical creation science. A few people used it, but the idea had been minor at best. To overgeneralize and act like, "AHA! Creation science is refuted!" is appallingly silly. So, creationists who even think of the "pterosaur" will probably be thinking, "Oh, no good? Okay, let's move on. We have far better material anyway". We want to present the best possible information, and if something is speculative, we try to be consistent in saying so. We've left faulty arguments behind in the past, we'll do so in the future, no problem. See "Arguments we think creationists should NOT use".Too bad evolutionists don't show the same attitude, what with rampant fraud, retracted peer review papers, outdated material in textbooks, and whatnot. When new information falsifies your hypothesis, you accept it and move on. Darwinians need to learn that, too. 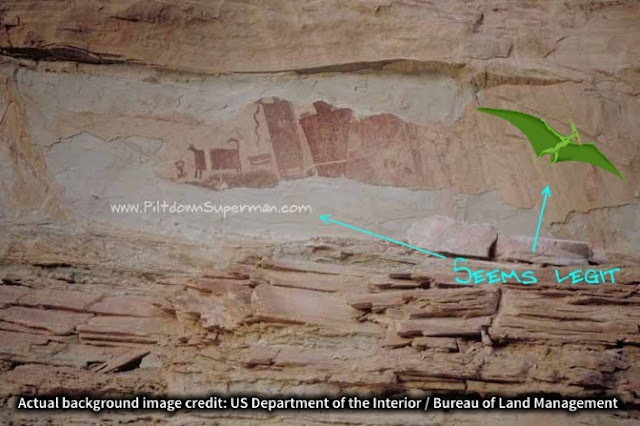 A canyon wall in Utah has a faded pictograph that under certain conditions might possibly look like a winged monster. Some creationists have claimed it is a pterosaur, drawn by native Americans who may have witnessed one after the Flood. A new study appears to lay that interpretation to rest. Archaeological chemist Marvin Rowe visited Black Dragon Canyon and studied the glyph with X-ray fluorescence and an image stretching algorithm. His results reveal a “far more mundane” interpretation, Emily DeMarco reports in Science Magazine, showing the form to be a collection of people and modern animals, drawn in the characteristic style of the period. To read the rest, click on "Rock Art Is Not a Pterosaur". Can There Be Life on Kepler-452b?